Transportation companies face unique challenges in managing risk and maintaining margins. If you don’t have good commercial insurance or claims service, you can lose your biggest client over a single claim. 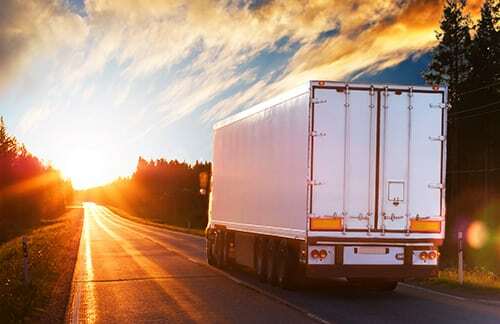 You need a transportation insurance provider who can help you to navigate the risks and complexities of any situation, especially when it comes to the new CSA 2010 initiative. Your Snyder Insurance account manager can service both primary insurance and owner-operators so that you’ve got just one stop to make for your coverage needs. This coverage handles any type of damage or injury to others as a consequence of an accident, in which the driver is at fault. There is a minimum coverage of approximately $750,000 for vehicles that weigh over 10,000 pounds. But we do advise you to protect yourself and any workers with at least $1,000,000 or more if you can. This amount is typical within the industry. Protecting cargo is required under the Motor Carrier Act of 1935. This policy will cover the motor carrier if they are legally liable for any damage, any destruction, or any losses that occur to the customer’s property that’s being transported. The transportation insurance in Illinois includes articles that were stolen or broken, and also packages may become lost. Physical damage insurance will protect your vehicle, your trailer, and any other equipment that has coverage when the accident happens. This is regard to coverage for acts of negligence and/or omissions resulting in bodily injuries and/or damage of any property related to the business. General liability insurance in Illinois also kicks in when a person is injured due to a product that was either manufactured or distributed, and is in route, by the transportation service. General liability will also cover persons if they are injured in any general operations of the business. This will cover a carrier for any liability regarding the vehicles that deliver their load and are returning to their terminal. The business hiring this truck takes responsibility for any liability while the vehicle is being loaded. But when the delivery is made, this liability ends. The carrier can now be protected by bobtail trucking insurance, which covers the return trip to the terminal or station. Employees are protected by laws that reimburse them for any lost time if they are injured on the job, especially if the claim is not their fault. These advantages can be claimed by any employee as a right, and the employer can’t deny them. The quantity given as compensation is always based on how much a person receives and, in many jurisdictions, how many dependents he or she has. It is usually specified to a maximum amount. This type of insurance falls under workers compensation.